There are a few things that define Los Angeles like anything else: Hollywood Sign, Walk of Fame, Universal Studios, and hiking. By virtue of celebrity status and pressure of keeping up with healthy lifestyle, hiking has become one of the most popular things to do in Los Angeles. Luckily, the city’s location and its surroundings comply with such needs and demands. But if you want to expand your experience and activity level, hiking to Eaton Canyon Fall should unquestionably top your list. So get ready to discover Los Angeles and hike like a local! But be prepared to feel an intense urge to hit a trail immediately. 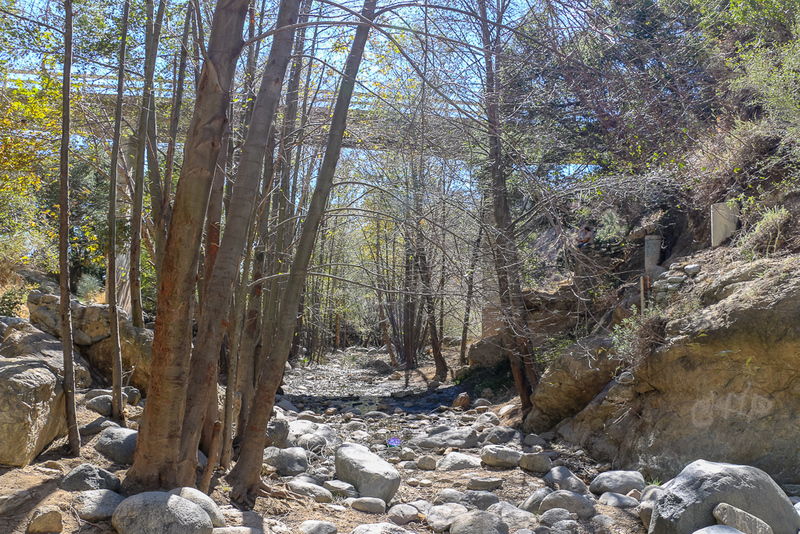 A relatively easy hike starts at Eaton Canyon Natural Area Park and Nature Center, located just off Altadena Drive. Nested in close proximity to Pasadena, Altadena, and Santa Monica, the 3.5-mile trail gets a lot of attention from all sort of hikers. However, not many newcomers can boast about conquering this hidden gem of the great Los Angeles area. 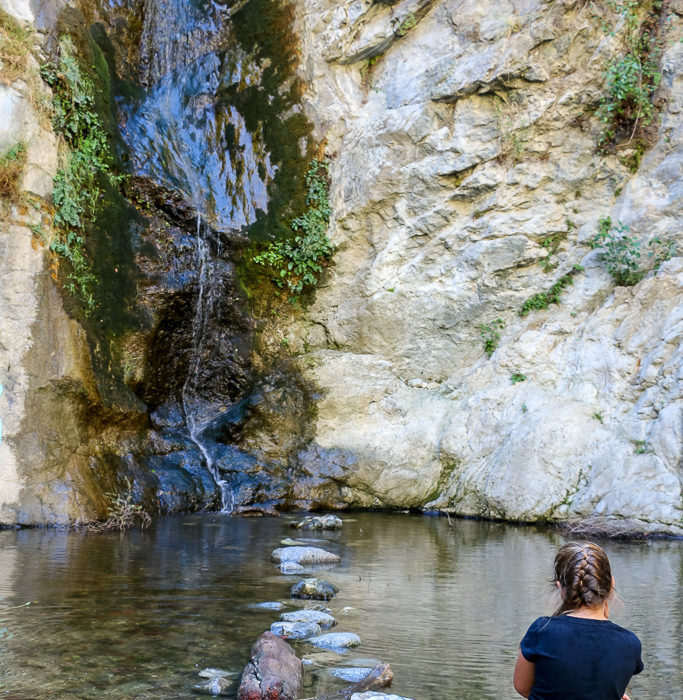 Tucked away in the stunning San Gabriel Mountains, the trail and hiking to Eaton Canyon Fall mostly remains a privilege of the locals. This might be just an advantage considering that the place still gets very busy, especially on the weekends. But neither a crowd, nor a long walk in the heat can stand in the face of a 40-foot waterfall – not a typical phenomenon for Los Angeles. 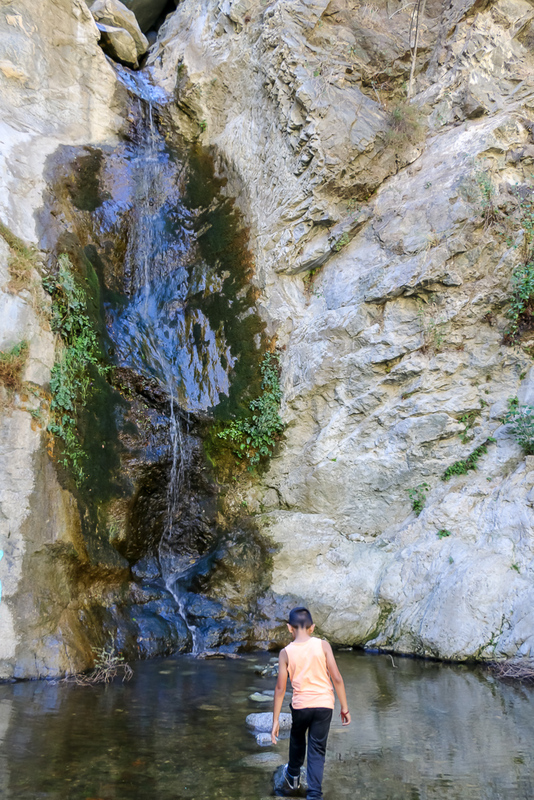 This part of the hiking to Eaton Canyon Fall is suitable for joggers, dog walker, and even visitors with strollers. Hiking to Eaton Canyon Falls consist of two part. First, a bit longer than the second one, encompasses bustling through a flat, open area of the park. Hardly any tree shadow falls on a wide, dusty trail, giving you little to no refuge from the scorching sun. Fortunately, the path does not present excessive physical difficulties and welcomes the hikers of all ages. 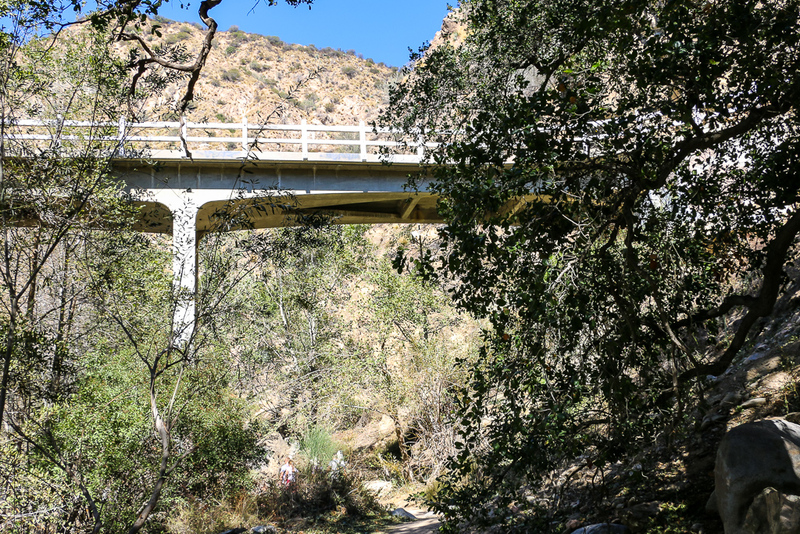 This part of the hiking to Eaton Canyon Fall is suitable for joggers, dog walker, and even visitors with strollers. As a word of precaution, make sure to stack on water, sunscreen, and head cover. The rest cannot be easier! Once you reach Mt. Wilson Tall Road Bridge, the hiking gains new momentum and becomes more interesting. Growing close to each other (so that it creates an illusion that you walk in a huge, natural cave), tall trees with a sheer amount of shade replace the exposed to the sun areas of the trail. Small rocks and middle-sized boulders fill the previously flat path. This part of the hiking demands more jumping and climbing the rocks as opposed to a nice stroll before. Definitely, no more strollers, jogging, or running. But some water-proof shoes might come in handy here, especially if you undertake the path in spring or early summer. After Southern California rainy season, Eaton Canyon Fall are often flowing, covering with water a good part of the trail. 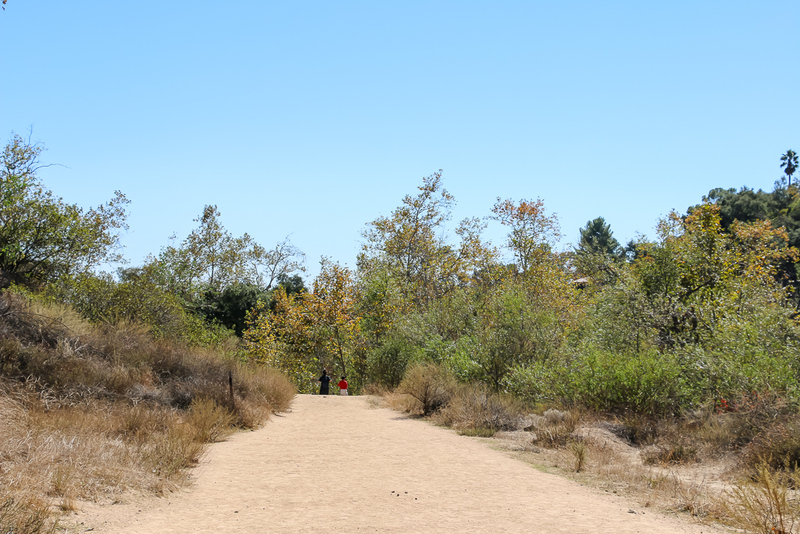 The rest of the year is pretty dry and so is the Eaton Canyon Fall trail. Eaton Canyon Fall marks the end of the hiking trail. Hearing gurgling water and a few seconds later viewing the waterfall itself marks the end of your hiking. The chances are a small crowd is already nestled at the bottom of the fall. While some people test the water with their feet, the most adventurous of them do not shy away from dipping in ice-cold pool at the base of the waterfall. Even though it gets busier pretty fast, the feeling of cool mist and relaxing sound of falling water makes hiking to Eaton Canyon Fall an unforgettable experience that needs to be repeated again and again. At Mt. Wilson Tall Road Bridge, rocks and boulders replace the wide, flat path. 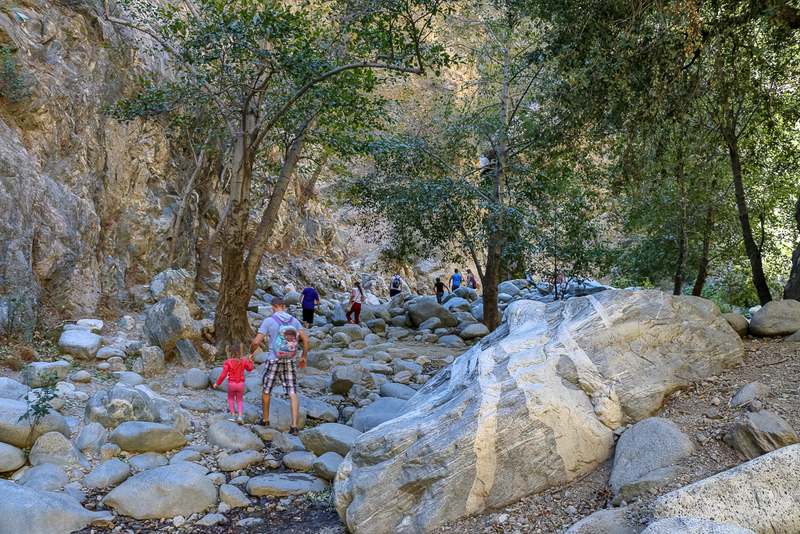 The hiking trail to Eaton Canyon Fall gets very busy, especially on the weekends.